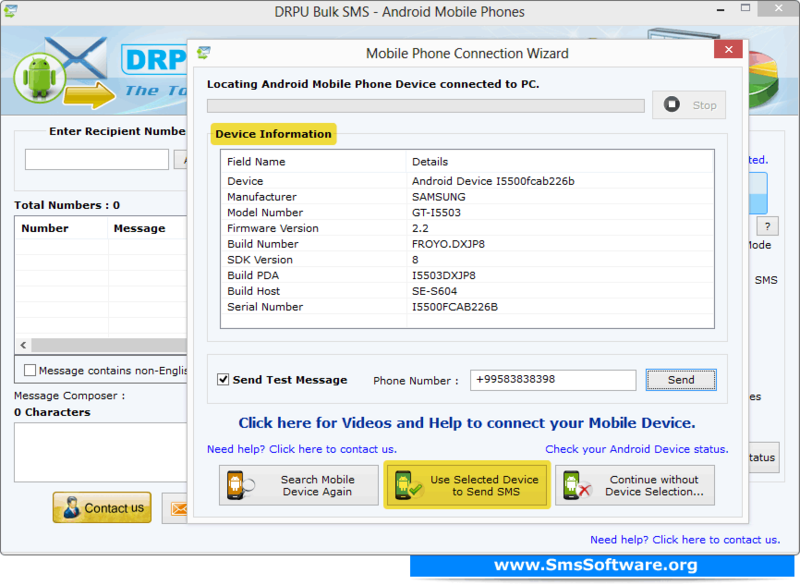 Wizard shows the connected device information such as device, manufacturer, model number etc. You can send test message by clicking on send button. 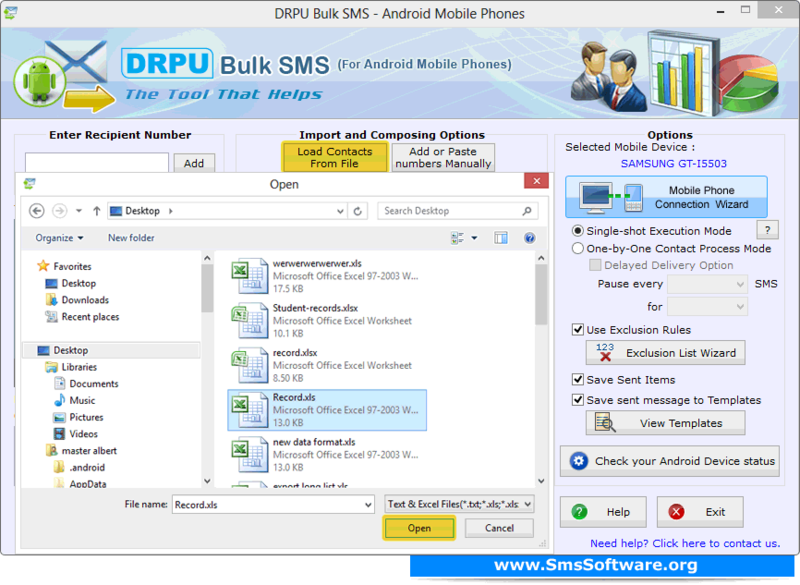 Click on "Use Selected Device to Send SMS" option. 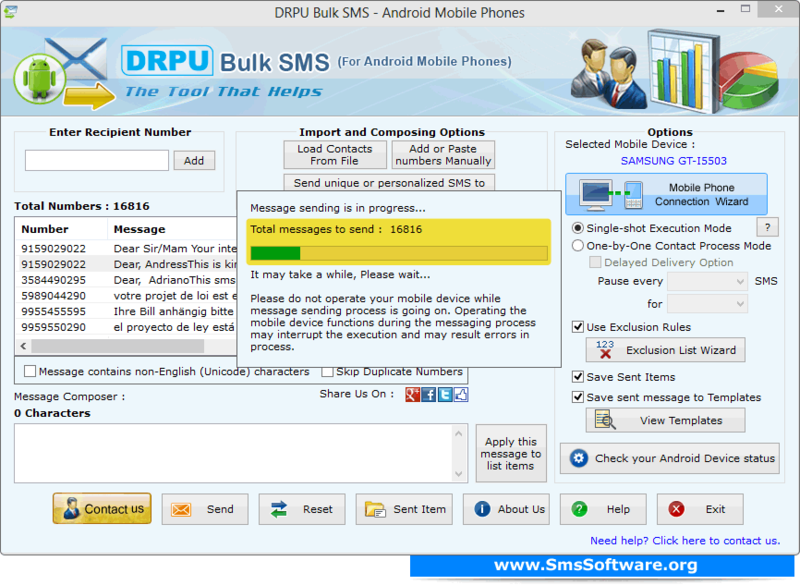 Import contact numbers and messages using "Import and Composing Options". 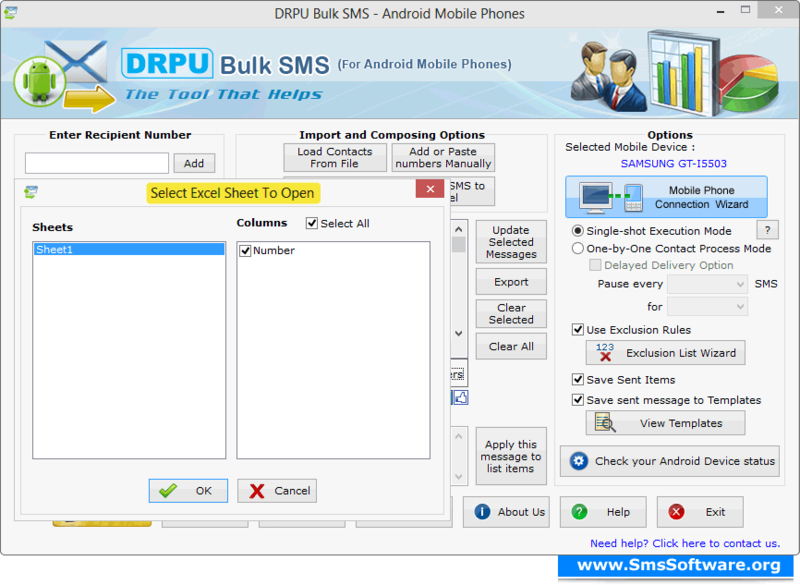 We have selected "Load Contacts From File" option to import phone numbers. Select sheet and column containing phone numbers. Similarly you can add text messages either manually or using "Send unique or personalized SMS to every Contact using Excel" option. 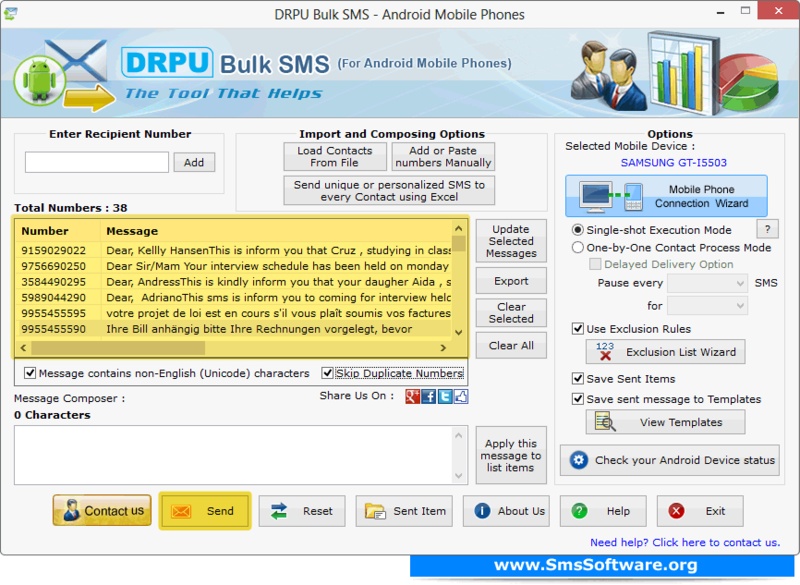 Click on "Send" button to send bulk messages. Progress bar shows current status of SMS sending process.